Invasive zebra mussels could create havoc with the ecosystems in B.C. lakes if they gain a foothold. Authorities remain on high alert for invasive species after intercepting four boats in recent weeks that arrived in B.C. infested with live zebra mussels. One contaminated boat was towed by a vehicle that failed to stop for inspectors on April 28 near Elko, where many vacationers arrive in B.C. from southwestern Alberta and northwestern Montana. A conservation officer tracked down the vehicle and diverted it back to the inspection station, said Chris Doyle, deputy chief of provincial operations for the B.C. Conservation Officer Service. Inspection teams have checked 1,200 boats so far this year. Of those, 64 were flagged as coming from high-risk locations, resulting in 12 decontamination orders and seven 30-day quarantines. Bears emerging from their dens and searching for food continue to be a problem, particularly when people fail to secure their food and garbage, Doyle said. He said conservation officers are continuing to respond to reports of “bear jams” where vehicles are stopped on a highway where people are deliberately feeding bears or taking photos. Even when the bears aren’t being fed there’s concern that people in close proximity may make the bears habituated. There have also been multiple complaints in Kitimat of grizzly bears feeding on garbage, he added. He urges people not to remove fawns or other wildlife babies but instead contact conservation officers if there’s reason to suspect they’re abandoned. Animal rescues are a regular part of the job for conservation officers. 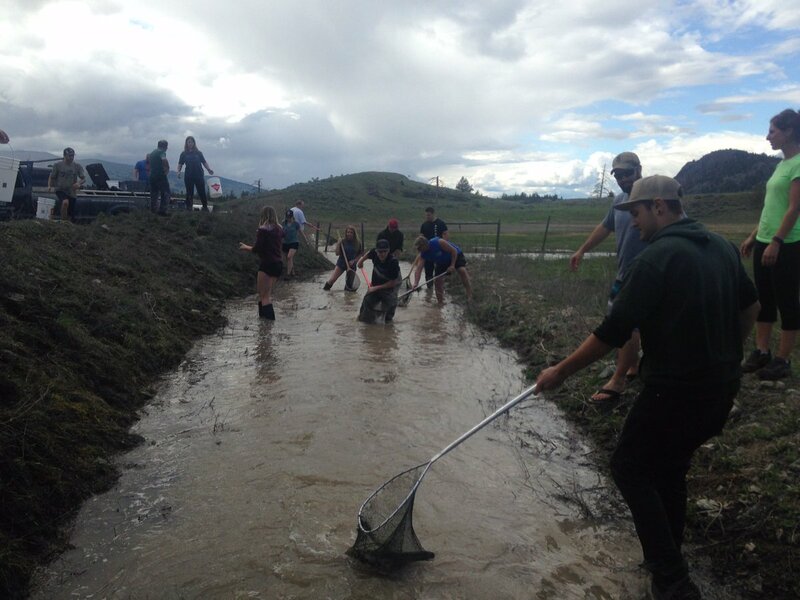 One of the latest operations saw Kamloops officers join forces with local volunteers to retrieve 1,000 rainbow trout that had become stranded in a field after Jacko Lake flooded on April 24. Hefty fines have been handed out in recent months against poachers who shot wildlife illegally. About $2,500 in fines were issued to a group found hunting without licences April 29 in the Kispiox River area. Another $5,800 in fines were handed out to two Lower Mainland men convicted of hunting deer in a closed season near Rose Prairie in 2013. Conservation officers used DNA evidence to link the poachers to the scene. And a Burnaby woman was fined $5,200 on May 3 after pleading guilty to trafficking bear gall bladders following incidents in Merritt and Coquitlam in 2014 and 2015. Trafficking in bear parts in B.C. is rare, Doyle said. He said the motive of the perpetrator was a traditional belief that the bear gall bladder bile can help relieve suffering from seizures.